Hitasoft provides businesses the agility they need to handle changing customer expectations without complexity or excessive administrative overhead. If you say what everyone else is saying – it may not ever be remembered. 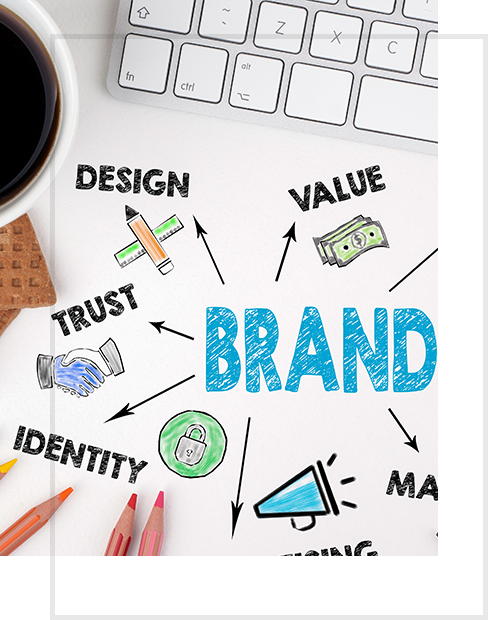 Your brand reflects your identity as a company. Any business goes online needs the best solution for multiple screen solutions. We are the best Web and mobile app development company. We succory your brand to convey a sense of who you are and what you do. And, most of all, we provide the right solution you want it to be seen by the right people. We are the best experts of understanding existing business models and it’s technologies. Understanding the full stack development of any successful business model happens in no time with our experienced product and project managers. With the metrics of what we have found, our team starts the development from the scratch. No better development starts without a paper work and plan of schedules. From writing the scope of the project to completing the end user acceptance testing, our team spreads the man power throughout the schedules. On every stage of the project development we will keep our customer awake and make them aware of what is been cooking in the kitchen. We have provided a wide range of services to many customers which makes us the Web and mobile app development company in India. From idea to implementation, Hitasoft provide the technologies, digital strategies and marketing services that will launch your company to greater financial heights. Your business is unique. Your website should be too. Hitasoft approaches each client individually, custom-tailoring our web services to address your unique demands. Hitasoft excels at developing software that's personalized and fit for every level of business. Whatever you need, we can build it very frequently. Hitasoft offers a robust, highly-intuitive app development process for small, medium or enterprise-level companies. Whatever your need, we can meet it. Hitasoft is a world-leader in developing SEO content. We help companies rank higher, attract more customers, and achieve unprecedented fiscal growth. Looking for a team of dedicated, talented professionals to bring your project to life? Hitasoft has everything you need to convert your ideas into reality. We work closely with our clients to understand their pains, interests and business objectives. Then we combine our industry based knowledge with extensive analysis to create a results driven strategy for your long-term success. We breathe life into your business, developing branding that advances your message and forms a distinct image. While each phase moves your brand somewhere new and exciting, we continuously infuse direction from what we’ve learned about where the brand has come from, where you’d like the brand to go, and how the new brand image will impact consumer behavior. At Hitasoft, we’ll help you take the first step or conquer the latest hurdle.